Doing pretty well. It was eating but getting progressively thinner. I decided to use an IV catheter to tube feed it some panacur. I did it every 5 days for a total of three treatments. Seemed to work well. It was eating within a couple hours of each tube feeding. Seems to be putting on weight now. 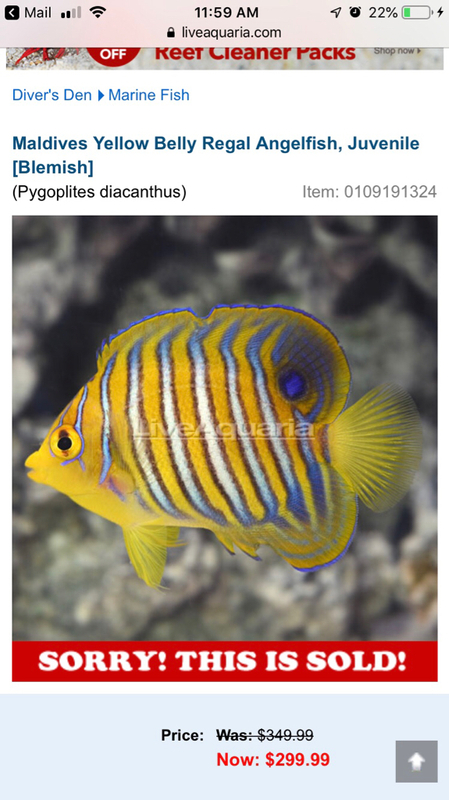 The only issue it has currently is what I think is a bad case of lymphocystis on one of its pectoral fins. That seems to be getting worse instead of better which has me a bit concerned. Just fatten him up with as many small feeding as you can during the day. Once you get some weight on him and his health back, the Lymph should pass. 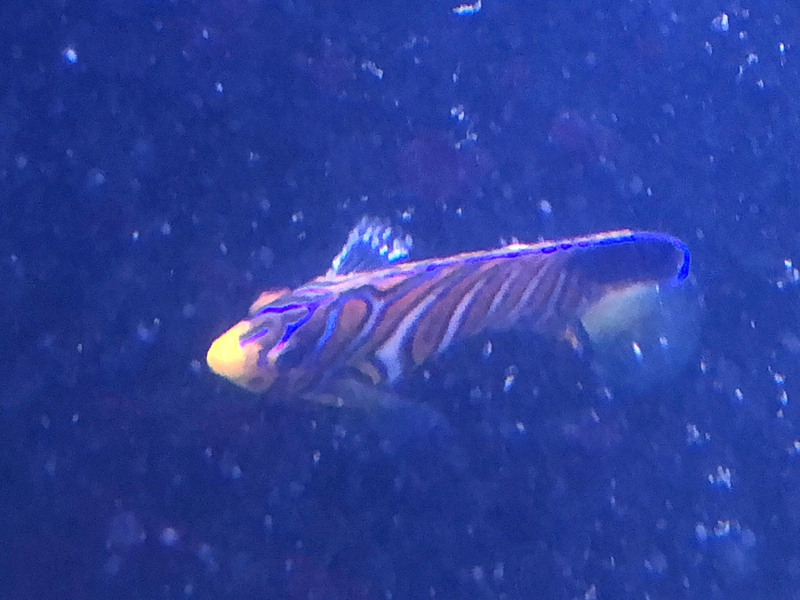 My last Regal came in with it on it's tail and then again it showed up on another fin right after getting out of QT. It took about a month to clear up and now I haven't seen any sign of it in over 4 months. So what do you guys think? Lymph or something else. Pics are terrible but these are the two best out of about 50 I tried to take. It originally was only on the fin. Now it also has spread to the body where the fin touches. 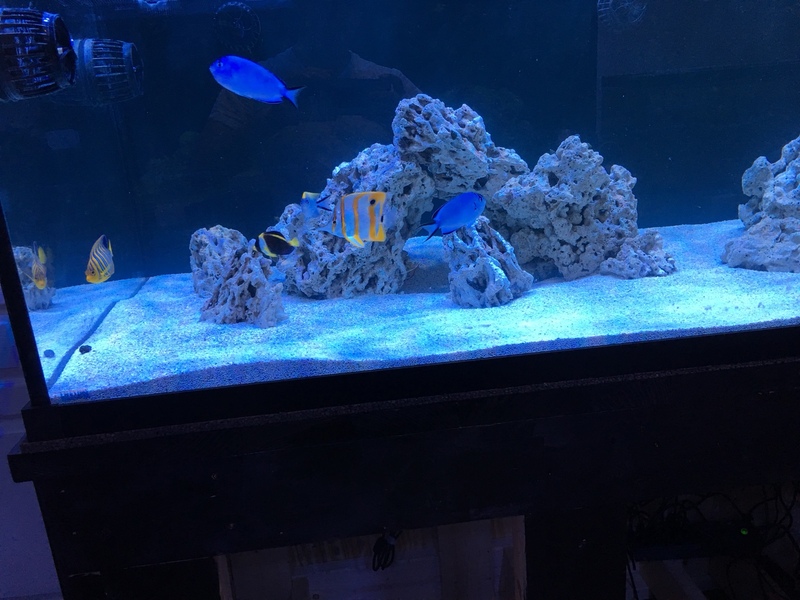 I added a cleaner wrasse today in hopes that it may pick off whatever it is. I’d treat it with PraziPro ASAP...that’s how I saved a few fishes that had the same symptoms. Good luck. How is he doing? Here is an update of mine. After had him for four months or so he finally moved into his final home: the 300G. I’d stop all medication and just keep the water quality as good as possible. Keep feeding nori and soak food in angelixir. I also use hikari mega angel frozen food with good results. I agree with roberthu526. If it is Lymph there is nothing we can do to cure it. My Regal also came in with it. It took about two months to drop off and now I haven't seen another outbreak in four months. I have heard that stresses will cause outbreaks. Offering good water conditions and quality foods and peaceful tank mates will help keep the Lymph cotton balls away. Good luck. Lymphocystis will gradually get better. On my CBB it even erroded the lower jaw and shorten it. Offer a few month the CBB is completely normal, jaw and all. Good luck. Thanks! I have 4 MP60’s and four MP40’s in this tank since I am going full SPS. Never too much flow right?! A bump up for Regals. 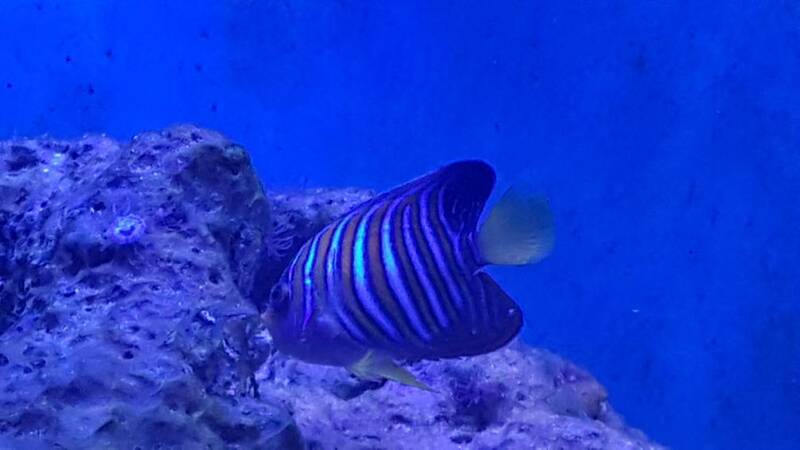 Plus I picked up a Redsea regal from my LFS thanks to ERI for $100. Last edited by alton; 10/30/2018 at 01:38 PM. I got a regal and he's eating flakes and pellets from the get go. I guess it really depends on the fish you get sometimes. Fine are easier to get eating. Now hopefully it'll pair up with my yellow belly regal I have had in the tank a long time. Yeah, mine from live aquaria avoided all the fresh products I bought and just ate pellets and mysis easily. Go figure. Anyone, after a month of QT and little lympho after transferred into the DT he' s been a little trooper getting along nicely for the last 4-5 months. Starting to get very friendly and comes up to the top of the QT Tank to eat. Finally a regal angel. Was not eating at the LFS ... just picked at the rockwork for a couple of weeks and would not care for any frozen or processed food. He may have eaten some Zoas hard to say though. Well actually, i was hoping he would eat some Zoas since he wasnt eating anything else. Finally out of frustration, i moved him to the sump and started with some clam on the half shell and he went for it. Hid some mysis and flake in it next day but no luck ... finally i just dumped some flake in the sump. Guess he started sampling some and never looked back. Eating well now and fingers crossed he continues to. Can you guys help me id the exact species? It’s just a blue/grey bellied regal. Not really any way to tell exactly where it’s from. Something looks off with its eye. Can you take more pics under white lighting? Eye looks bulged to me, at east in that pic. Last edited by pfan151; 12/10/2018 at 01:52 PM. I picked up a little one from DD last week. 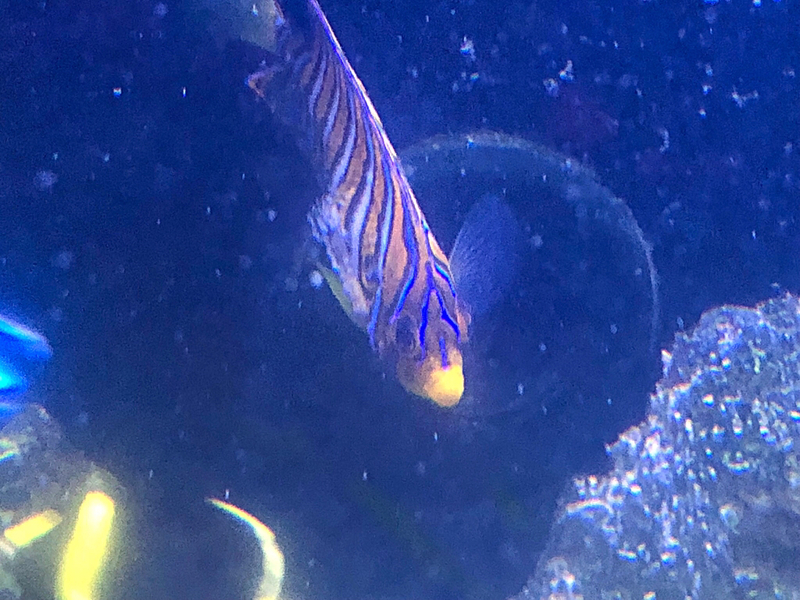 Slightly reduced price (still overpriced) because of a damaged fin but I’m pretty sure it will grow out to look normal eventually. Doing well so far. I’ll wait till they go on sale to grab another from LA. Seems like they run the $139 deal on small ones every year. Thanks for the heads up. I always forget which region are the preferred ones that seem to do better.